Professional carpet cleaning is a good approach towards ensuring that your office carpet retains its value and lasts long. 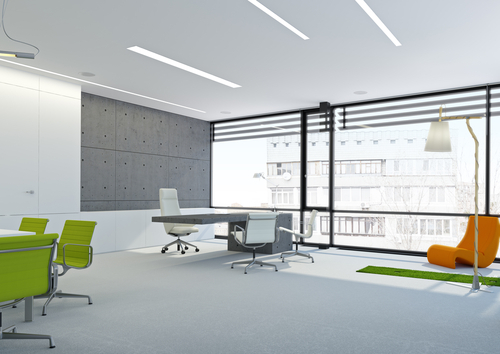 The appearance of your office is also greatly improved when the carpet in there is cleaned up in a professional way. Allergens and sediments are also removed through professional carpet cleaning and this ensures good health for everyone who enters your office. Spots and all types of stains are also removed when professionals clean up your office carpet. It is a plausible way of ensuring that the carpet lasts for long and remains shining. Hiring a professional can however cost you resources that can help you in other aspects. You can save these resources by cleaning your office carpet on your own like a professional, rather than hire professional services to clean up and then pay up. The following are ways to clean up your office carpet like a professional. You can try them out for excellent results. In the event that your office carpet manufacturer gave instructions on how to clean up the carpet, kindly pay attention to this. 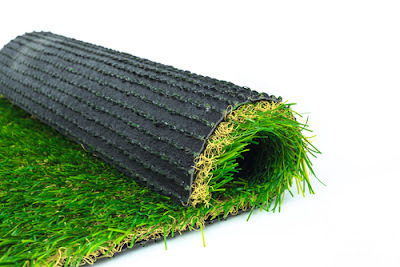 The manufacturer understands best how to clean up the type of material used to make the carpet so that it maintains its value and lasts long, whether synthetic or natural fiber. It is therefore important that you go along with the instructions of the manufacturer, if there are any. These have got to be prioritized first before other methods that you perceive to be effective are given a try. You can inspect the office carpet first and foremost to determine the nature of stains it has. This makes it easy to brainstorm on the best options you have for cleaning the carpet. A good inspection also makes it possible to figure out the most appropriate carpet cleaning solution or detergent to use in the cleaning process. This stage could also involve vacuuming the carpet to remove easy stains and dust. In case the office carpet has spots as a part of the stains, they should be treated first. Treating them makes it easy for their subsequent removal during the overall cleaning process. The spots are weakened in the treatment process, making them vulnerable to cleaning solutions or detergents that you use to clean the office carpet. Application of the carpet cleaning solution or detergent has got to be carefully undertaken. The solution has to be complementary to the material used to manufacture the carpet. This process loosens all simple stains, including ground-in soil that shoes carry into the office. Picking on a wrong solution leads to the derailment of your office carpet's value. Wrong solutions can acts as bleaches to the carpet, making it lose its color or colorful prints. Some solutions also weaken the carpet's fiber, making it vulnerable to wearing out. A little bit of scrubbing can help out in cases of stubborn stains – only be careful not to mess up the carpet's fiber. Rinsing has got to be done using clean and clear hot water. This leaves your carpet clean in the end. Hot water ensures that all greasy stains are gotten rid of. Some stubborn stains are also gotten rid of through the use of hot water. The water has to be clean and clear to ensure that no stains or marks remains in the end. This also ensures a uniform appearance of the office carpet. Residual stains can yet again be treated using special carpet solutions or detergents. This should be done to ensure proper grooming for your office carpet and a perfect finish. Depending on the type of material used to manufacture your carpet, you can groom your carpet to ensure that it dries up properly. Grooming also gives your office carpet its original new appearance. Inspection on the other hand ensures that nothing was missed during the cleaning process. Regular vacuuming of your carpet on a regular basis keeps it clean always and prevents the accumulation of stains on it. Cleaning individual stains as soon as they appear can also be helpful. Stains rub deeper into the carpet fiber when left unattended for a long time. If you find that your employees take a lot of sick leaves due to bad health, then you should pay more attention on your carpet cleaning as well along with all other health precautions. In case you have any question about this or you are not sure how dirty carpet can make your employees sick, then here are a few key points that can explain it you. Dust allergies: This is a scientifically proven fact that more than 55% human has some kind of dust allergies and they get sick because of it. That means if your office carpet has dust in it, then it will surely create some health issues for most of your employees. As a result of this sickness of your employees, you will get less productivity in your office and it will reduce the growth of your business as well. However, if you will do your carpet cleaning on a regular basis, then you will not find dust in your carpet and then it will create less health issue for your employees. Mold contamination: Most of us are aware that mold can expose you to serious health issues and if you leave your carpet unclean or damp for some time, then it can make your employees sick. Also, if mold starts growing on your carpet once, then it may grow rapidly and it can increase the health issues as well among all of your employees. But if you choose a good carpet cleaning firm that can do the cleaning of your carpet in an effective and experienced manner, then you and your employees will stay away from many health problems. Dust Mites: These are some very minute pests and insects that can grow rapidly in dirty and moist flooring. That means if your carpet is dirty or it is moist because of some water spilling on it, then dust mites may develop on your carpet and it can make your employees sick as well. Talking about the health problems that your employees can get because of dust mites then it will include asthma, infection and many other allergies. So, if you want to make sure your employees do not get sick because of this problem, then make sure you choose a good carpet cleaning firm for your carpet cleaning. Pet dander deposition: Indeed, this is a problem that you mostly get from animals and no one will bring his animals to the office. But many studies proved it that these tiny particles of animal skin can travel from home to office carpet via employees’ clothes and other belonging and if you leave it unattended for a long time, then it can cause serious health issues among all the human. That is another reason that enforces you to do regular carpet cleaning of your office so you can improve the health of your employees and you can get better productivity. Bad smell: You can hardly find any office in which employees don’t eat or drink at their desk and sometime they drop the food on the carpet as well. And if you will not do the carpet cleaning on a regular basis, then eventually this food start decaying and create a very bad and unpleasant smell. Because of this unpleasant smell many of your employees may feel sick and some of them may experience vomiting, inflammation and other similar health problems as well. Skin infection: Skin infection is more health issue that your employees may face due to improper carpet cleaning. 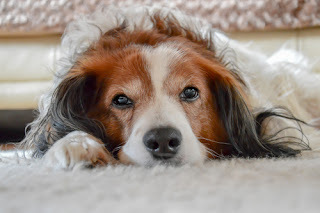 As said above pet dander, dust deposition and mold formation is a very common problemwith dirty carpet and these things can cause serious skin problems as well. So, if you want to make sure your employees do not get sick because of skin infection,then it is a good idea to invest some time and money on your carpet cleaning and get better productivity from your employees. In addition to these common problems, your employees may also face many other health problems such as athlete’s foot and unpleasant mood that will surely affect the productivity for your office. But if you can just invest some time on carpet cleaning, then this is an assurance that you can avoid almost all the above health issue in your employees and they will not get sick very often. Even though installing carpet flooring is extremely easy and less time consuming, the maintenance task can take a toll on anyone’s mind. If you have kids and pets at home, you certainly know how difficult it is to keep those aesthetically pleasing carpets clean and stain-free. No matter how hard you try, there comes a time when you need to use professional carpet cleaning methods to get the best results. Irrespective of the type of spill, the carpet stains should be treated immediately. Most households do not care about cleaning the stains from within. While some stains will sink into the padding of the carpet, others like soda will eat away the fibers. If you have extraction system at home, it is advised to treat the stains as soon as possible, without waiting for your maintenance schedule. Many people do not take a note of intensity of the detergent being used in the cleaning process. In hot water extraction, a mild detergent is used to extract out the stains and dirt. However, most people are not aware of the right detergent that can be used. Using normal fabric detergent will do no good, and strong ones will definitely harm the fibers. Avoid using household cleaners as they can result in a disaster. Also, surface and laundry cleaners contain bleaching agent and harsh chemicals that can cause permanent discoloration. So make sure you conduct a thorough research, before blindly using any detergent that you find in your home. Untrained people often use too much water in the cleaning process. Using excessive water can make the process more complex, making the extraction process more rigorous. It can be hard to extract the water if the carpet is over wet. Talking to a professional or doing some research online should help you use right amount of water in the cleaning process. This is a very common mistake often made my households indulging in Do It Yourselves carpet cleaning. Once the extraction process is completed, it is important to let the carpet dry completely before putting it back into its original place. It might take 12-24 hours for a carpet to dry completely. Wet carpet can encourage molds and bacteria, affecting the health of the inmates. Most people use deodorizing powders immediately after the extraction process. Even though there is no problem in using deodorizing powders, you should wait until the carpet is completely dry. Also, do not mix the power in the cleaning mix during the extraction process. Of course, DIY can help you save a lot of money on carpet cleaning, but it is always advised to hire professional cleaning service. Getting your carpets professionally cleaned twice a year is important, but the significance of such services increases when you consider opting for complex cleaning processes like hot water extraction. Homes with pets and children may require more frequent and rigorous cleaning. Professional carpet cleaners are trained and equipped with right set of equipment to deliver best results. Not every carpet method requires the professional carpet cleaning company, but failure to perform them properly lead to a lasting blemish in your home. Make sure you take into consideration all the mistakes mentioned above and make right decisions. There is a reason why professional cleaning services are set up at first place. Take advantage of them and make your carpets shine for many more years to come. If you are planning to clean your carpet in Singapore then you are not only planning to improve its looks but also making your home healthy. Though it is better to get your carpets cleaned through a professional carpet cleaner as their cleaning last for longer time but you should know about the carpet cleaning tips and tricks to keep an eye on the working of service provider. Information provided hereunder about these tips and tricks will not only help you in maintaining the looks of your carpet but also in selecting a suitable service provider for this purpose. Before going to know about carpet cleaning tips and tricks you should know about the importance of this cleaning. Mostly carpets ad upholsteries in the household look clean due to their colorful appearance. Most of the times germs, soil and dust are found under the surface of the spotless upholsteries and carpets even in the well maintained homes. Frequent cleaning of carpet becomes necessary for their longer life and maintained elegance for longer time. Whether you clean them yourself or engage a professional service provider for this purpose but it has to be cleaned at least once in a year. While tending to clean your carpets in Singapore you should keep in mind that they are among the delicate furnitures of your home so you should clean them very carefully. Some of the carpet cleaning tips and tricks provided here will allow you to clean or supervise the cleaner during the process. If the finish of your carpet has flattened then the application of a coat of primer will help in holding the new paint on it. As you apply a coat of primer on a flat painted wall, if it requires minor repairs, similarly you should coat primer on your carpet. Though you need not be careful enough while coating primer on the carpet but still it is done in the same manner. You can apply new paints to your carpet after drying the primer to give it an entirely new finish. One of the important carpet cleaning tips and tricks is vacuuming them frequently. You can remove most of the lose dust and dirt from your carpets by vacuum cleaning them at least once in a week. You can easily remove surface soil from you carpet by moving your vacuum cleaner with its pile grain. But by going against its grains you can succeed in removing deeply embedded dirt and grime from it. You can avoid premature wearing of your carpets by using carpet cleaning tips and tricks of occasionally rotating your furniture. It will also help in avoiding soiling of your carpet in the traffic prone areas of your home in Singapore. Candle wax is another nuisance that has to be cleared out from your carpet carefully to avoid the damage of its pile grains. You should use the edge of a plastic card for gently removing as much wax from your carpet as you can to maintain its looks. You can also remove the remaining wax from it by placing a brown paper bag on it and move medium hot iron on it. The wax in the carpet will melt with the heat of the iron and paper bag will absorb it. But while ironing your carpet you should not leave it for more than 10seconds at one spot as it may damage the texture of your carpet by melting its fibers. 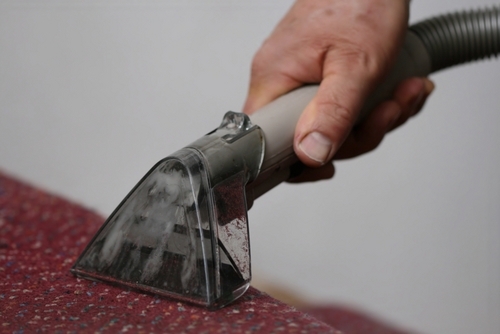 You can repeat the process after cooling of the carpet fibers, if the wax is not removed completely from it. You should clean your carpet carefully if you are new to use home or rental steam cleaner for this purpose. You can endanger the life of your carpet if you do not properly know about the carpet cleaning tips and tricks by using steam cleaner and do not remove water from it completely. You can help in increasing the growth of mildews and molds on the pad and back of your carpet by leaving more than enough moisture in it. You should allow your carpet for 24 hours to dry up properly after steam cleaning it.